Fire crews battled a blaze Sunday afternoon in Charlotte. 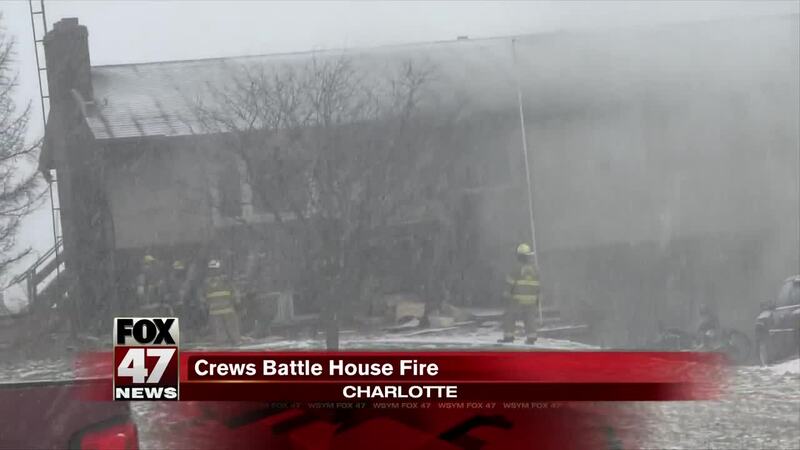 CHARLOTTE, Mich. — Fire crews battled a blaze Sunday afternoon in Charlotte. Crews from Benton, Charlotte and Windsor battled flames at a house on the 2800 block of Otto Road around 4 p.m. This story will be updated with more information when it becomes available.